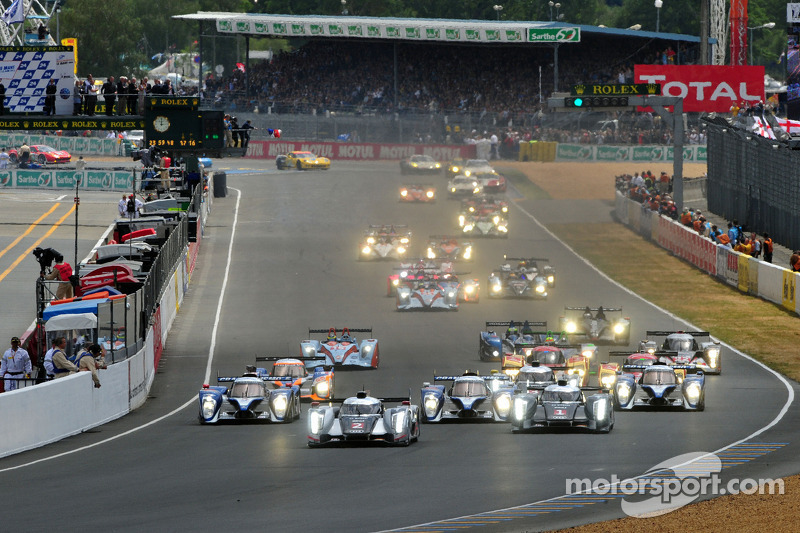 In mid-June of 2012, the legendary 24 Hours of Le Mans will celebrate its 80th race. The fifty-six cars will take to the track in heated battles for not only the overall victory but also for the winning team of each class during the twice-around-the-clock challenge on the La Sarthe circuit. The fans will flock to the French city in droves to watch the high-speed prototypes with the latest in cutting-edge technology plus the best sports cars that everyone would love to take for a spin. To top it off, the historic event is the crown jewel on the 2012 calendar for the inaugural FIA World Endurance Championship (WEC). Peugeot elected to pull out and while everyone believes it could be an Audi walkaway in the LMP1 class, they will still have a fight on their hands with Toyota, Honda, Pescarolo and Mazda accepting the Automobile Club de l’Ouest (ACO) invitations with the hopes of being the ones to take the top podium step. 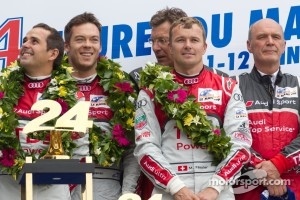 There will be 15 entries in the LMP1 class starting with the Le Mans winning team. Audi has four entries for the June classic but there is a difference. The German manufacturer will introduce the new R18 Hybrid under Audi Sport Team Joest but they also will have two R18s with the diesel engines; one from Team Joest and the other entry will be for the Audi Sport North America entry. "To develop the hybrid technology for Le Mans is at least as ambitious and challenging as our diesel project was in its early stages," explained Head of Audi Motorsport Dr. Wolfgang Ullrich. "The first test results are very encouraging and we are intrigued to see just how this technology performs in combination with our ultra lightweight technology on the race track at Le Mans. As before, we still, however, see potential with the conventional drive - just as our colleagues do in production development. This is why we are absolutely delighted that the ACO and FIA selection committee has accepted our entries and that we can join the grid with four cars at the commemorative running of the Le Mans race." “Hybrid” is a key word for this year’s entries as Toyota Racing is returning to Le Mans with their new prototypes. The Japanese manufacturer already introduced their new TS030 Hybrids to the world and is ready to take on the challenge. There will be two other Toyota teams with the standard petro fuel from REBILLION Racing with the Lola B12 coupe. The rest of the petrol cars include the HPD ARX-03 Honda cars in the hands of the Starkka Racing and JRM teams. Dyson Racing has both their Mazda powered Lola B12 coupes on the entry list. OAK Racing will field one OAK Pescarolo Judd while the French Pescarolo Team will have their Pescarolo 03 Judd and the Dome Judd. The ALMS championship team is excited about their acceptance for Le Mans: "Both my dad and I have raced at Le Mans and have always said we would go back with our team when we were able to run competitively with a proper program," said Chris Dyson, Vice President and Sporting Director of Dyson Racing. "This is a natural extension of the momentum from last year's winning season. Even with our long-term history in endurance racing, entering Le Mans propels our team to its next native level. It is the greatest endurance race in the world. 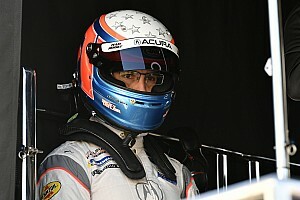 All of our partners have been hugely supportive of this step and we look forward to having a strong run in the race." Toyota Racing added to the news of the day when they changed their earlier plans to run a limited schedule in their return to international sportscar racing. 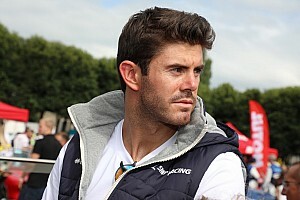 Due to the rule changes by the FIA, the team would have fallen short of consideration for the WEC title so they will add events in order to be considered a full-time entrant. The one thing that has not changed is their debut race which still will be at the Spa 6 Hour event. 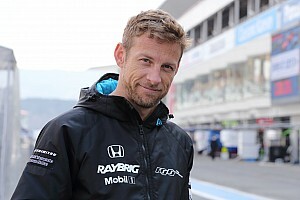 “The circumstances for the championship changed suddenly in the last weeks and TOYOTA Racing considers it important to work together with the FIA and ACO to establish a successful future for endurance racing. We have done everything we can to show our support and we look forward to an exciting season, including the opportunity to race two cars at Le Mans,” said Yoshiaki Kinoshita, team president. The LMP2 entries number 18 in all which is a positive sign for the future. 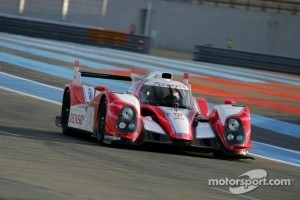 While the majority are Oreca 03 prototypes, there are also several Lolas, HPDs and Zyteks. Add a Morgan and a Norma M200P for the 2012 prize at the end of the 24 hour battle. Most of the powerplants are Nissan, with of course the Honda for the HPD, plus a few Judds. The new team on the block is Lotus as they return to Le Mans and will also run in the WEC this year. 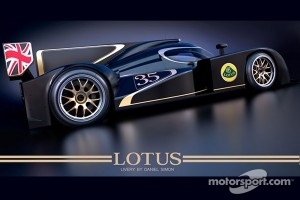 Kodewa will manage the program for Lotus and they recently released the artist rendering of their new Lola B12/80-Lotus. LMGTE equals Porsche vs Ferrari vs Corvette vs Aston Martin! 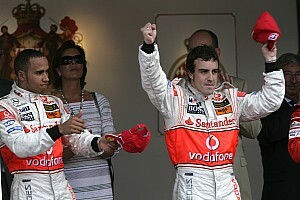 The class is divided into two podium finishes with the PRO and the AM (at least one driver must be a “gentleman” racer). This year there are nine teams in PRO and lucky number 13 for AM. 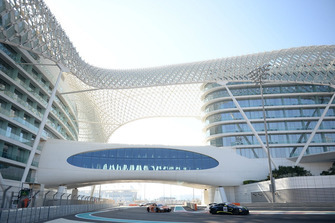 Many of the teams enter both including Aston Martin Racing, AF Corse, Flying Lizard Motorsports, Team Felbermayr-Proton, Luxury Racing and Team Felbermayr-Proton. JMW Motorsport and Corvette Racing are placing all their bets on the PRO class win and the other teams in the AM are Krohn Racing, Larbre Competition, JWA-Avila, IMSA Performance Matmut, Prospeed Competition and JMB Racing. Flying Lizards would like to earn the top step of both podiums in their twin Porsche 911 GT3 RSRs. The team still searches for their first Le Mans class victory and they hope their eighth consecutive year will bring them good luck. It takes more than speed and talented drivers to land on top in this 24 hour endurance. "It's an honor to be invited to participate at this prestigious event. 2011 was our first year fielding two entries and we are pleased to be able to return in 2012 with the No. 80 and No. 79 Porsches,” said Seth Neiman, team principal. The ACO announced last year that they will approve “New Technologies” prototypes to first do the Le Mans Test Day before turning laps during the race. Both of them are very unique. 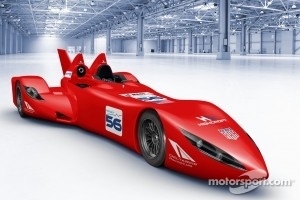 Highcroft Racing’s DeltaWing project is preparing to conduct its first wind tunnel test this month. 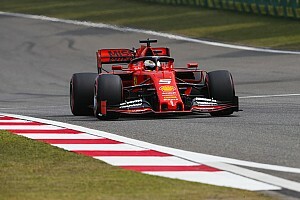 “The tunnel test is the next step in finalizing the aerodynamics of the design to confirm the car will do exactly what we are expecting,” Ben Bowlby said. L’équipe de GreenGT is heading to the test the H2 at the La Sarthe circuit on June 3rd. It is the first-ever electric/hydrogen sportscar prototype and the new ACO class, LMPH2, will have only one entry but it is a start and perhaps an early peek of what the future will hold. Per the team’s press release: H2 will have 12 kg of hydrogen in 700 bar high-pressure tanks on board. Hydrogen can be produced by solar energy and when hydrogen is fed to a fuel cell, it combines with the ambient oxygen to produce electricity and only steam is released into the atmosphere. Racing with hydrogen is fully carbon neutral. The same philosophy behind the two new ideas plus the use of diesel power and hybrid systems is one reason why racing exists. While the constructors discover new ideas, they continue to take it to the next level. At the same time the manufacturers of the road cars are busy with new ideas which can end up on the consumer vehicles. Sportscar racing is truly about innovations’ and the ACO recognizes its importance.